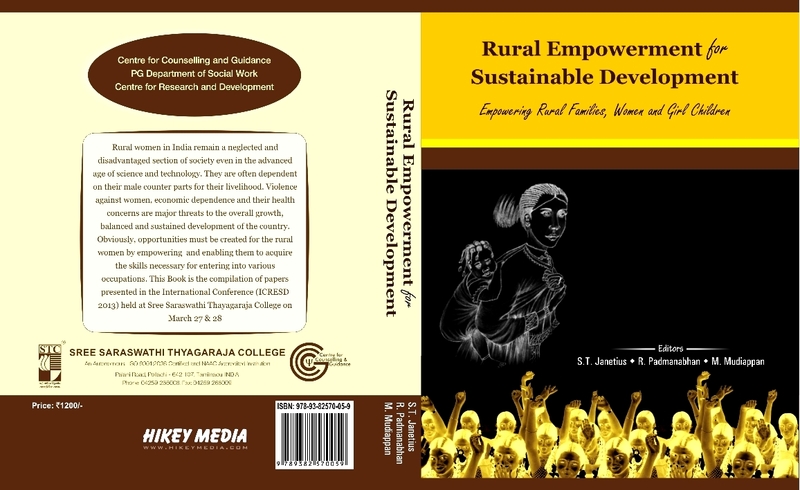 March 27 & 28, 2013 the International Conference on Rural Empowerment was organized at Sree Saraswathi Thyagaraja College. 85 papers were presented in 12 technical sessions and two panel discussions were attended by more than 150 delegates from Six Countries. We have published a book compiling all the research papers presented in the ICRESD 2013 into a book.